Nice large salt and pepper shakers measure 5" tall. Made by California Originals. 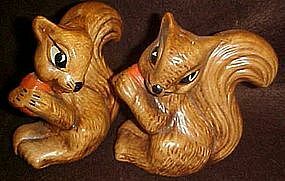 These match the squirrel on stump cookie jar they made. These are in Pristine, like new condition with the original rubber stoppers.